It was decadent- super rich and filling. SO good! 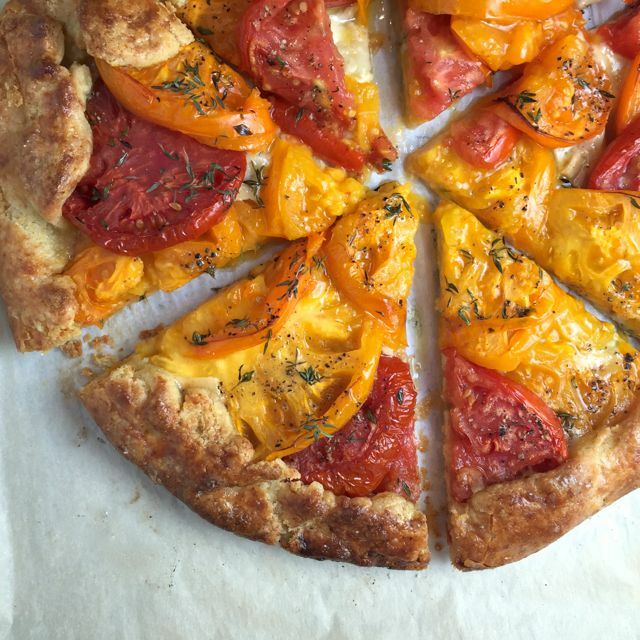 This looks delicious – I love heirloom tomatoes (we are growing some at home and they are so delicious) and gruyere is a favorite as well. Sounds great! I would not be able to have only one slice, beautiful! Thank you. 🙂 You will LOVE it!! 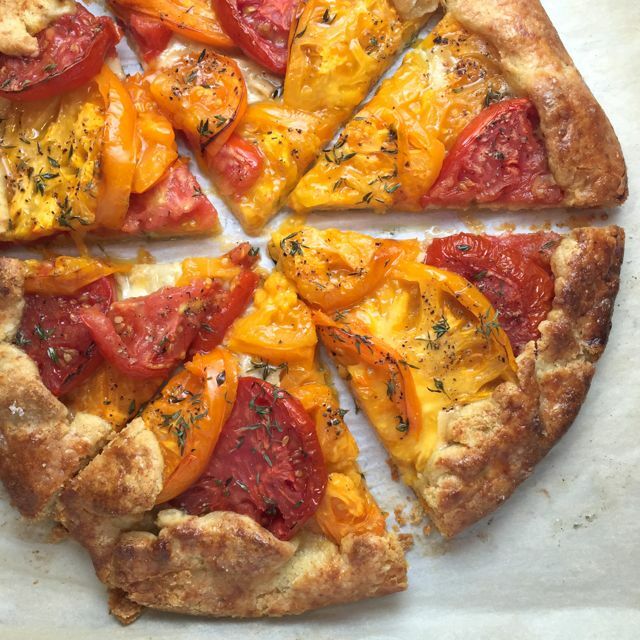 So many delicious ingredients, and even in a crostata form–how could this not taste amazing? It’s true… this crostata is LOADED with my favorite ingredients!! I have a soft spot for tarts- so pretty! 🙂 Thank you so much. 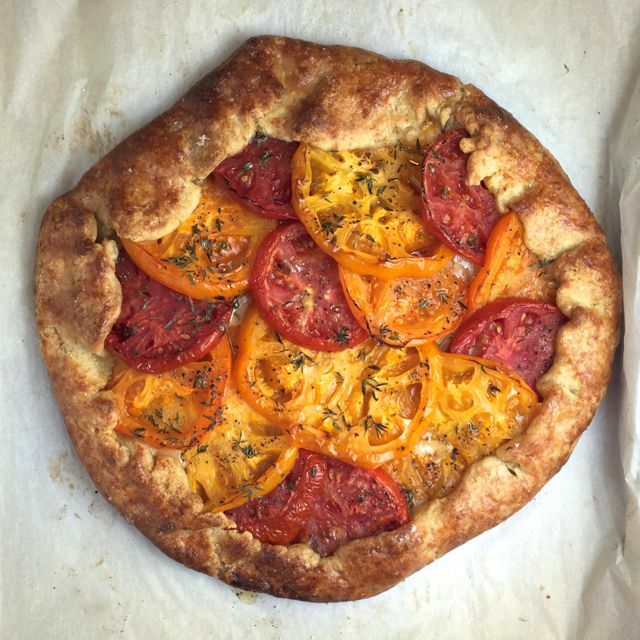 Love the photos, Josette, and they clearly show perfectly roasted tomatoes and pastry. Can’t wait to try it! Thanks for sharing with FF#84. Thank you so much! I hope you do try it too. 🙂 Thanks for hosting the party this week too- hope you are having a great weekend! Oh my this looks so amazing Josette! Will have to make it too! Gorgeous post! Will definitely be bookmarking this too, it looks gorgeous! Looks too beautiful to eat Josette! Perfection!! This looks so good! I had honey on pizza in Spain and was surprised by what a good combination it makes. Thank you so much! I did love how the honey brought out the sweetness in the tomatoes- delicious!